I painted this as a gift for my parents. 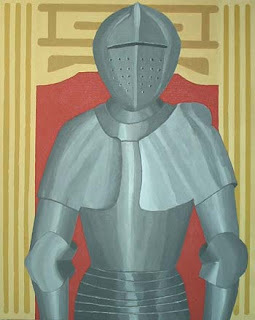 My dad wanted to get a suit of armor for their house. My mom vetoed the idea. So I thought a painting might be a compromise.